The article originally appeared in Global Voices. @Against_Pseudos: Islamic Sharia!! Muslim dominated village in Bihar, Sunderbari, ban girls and women from using mobile phones! 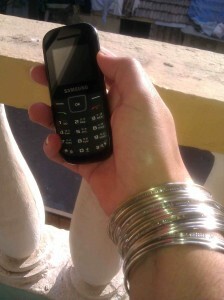 ‏@subtletea (Sameer Khandelwal): Indian Village Bans Unmarried Women & Girls from Using Mobile Phones. Why not ban it for everyone, irrespective of gender or marital status? This entry was posted on December 8, 2012 by Lakshmi Sarah in Global Voices and tagged feminism, ict, ict4development, india, mobile phones, village, women.